The key to understanding Romeo and Juliet characters is irony. As these character descriptions show, not everyone is always what they seem to be. Romeo Montague – Foolish modern day girls clamor for a modern day Romeo. They dream of Romeo’s wooing words (Act I, scene v, lines 43-52 and II, ii, 1-25) and ignore his utter lack of manly qualities: his lusts are fleeting and portable (I, i, 176-96) as shown by his initial love for Rosaline immediately followed by his love for Juliet (II, iv, 65-80); his desire to kill himself whenever things do not go as planned (III, iii, 103-09); his womanish ways (III, iii, 108-113); and his selfishness in ultimately killing himself. In short, if you want a man engulfed by infatuation for whom you’ll need a restraining order soon, if you want a man who falls to the floor and cries when things don’t go his way, if you want a man who does not think before he acts, and if you want a man who quits when things aren’t going well, then Romeo is the man for you. Juliet Capulet – Putting Romeo’s name first in the title is ironic, for Juliet is by far the stronger of the two. She is abandoned by her family, beaten by her father (III, v, 161-8), betrayed by the Nurse (III, v, 215-227), led into folly by a fool Friar (IV, i, 68-76), and married to a sissy (see above). She forged ahead, faced fears, defied social customs, and went against the words of her parents. Upon seeing Romeo’s dead body, she realized her life was worthless. These characters also play an important role in the play. Once again, think irony. The Nurse – Juliet’s closest confidant is privy to Juliet’s deception and encourages her fling with Romeo. She arranges the marriage meeting and the subsequent honeymoon activities (II, iv, 150-195). 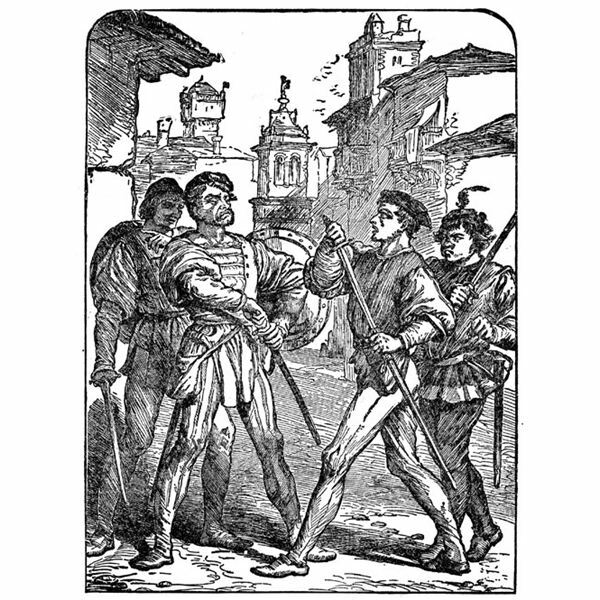 She goes to Romeo after he murders Tybalt to arrange matters again (III, iii, 159-175). The nurse, however, abandons Juliet in her most dire need. Initially, Juliet needed wisdom and her nurturer failed to give it. Mercutio – Mercutio’s wit makes him one of Shakespeare’s more memorable characters. 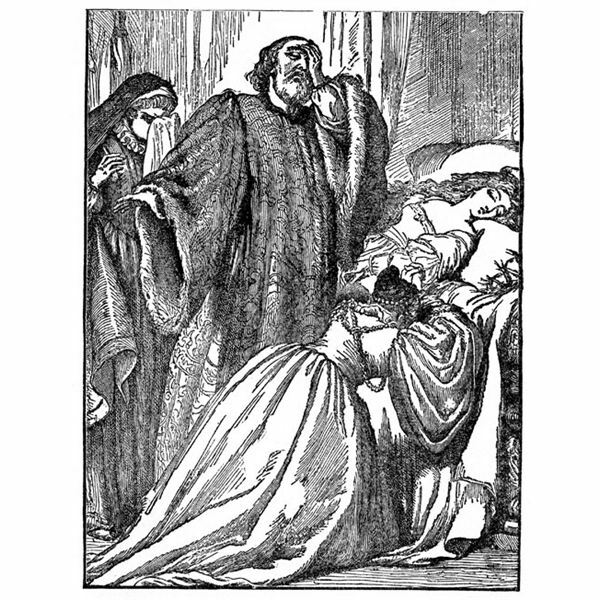 He blames Romeo for his death and curses the Montagues and Capulets for their misdeeds (III, i, 99-102). A closer look reveals the opposite to be true. Romeo is not responsible for Mercutio’s death. Mercutio is. He understands the likelihood of a brawl that day (III, i, 1-0) yet encourages violence when Tybalt arrives. Furthermore, Mercutio is a kinsman of the prince and should carry out the peaceful wishes of the prince. Mercutio’s actions cause his own death, Tybalt’s death, and ultimately, Romeo and Juliet’s death. Friar Lawrence – As an ecclesiastical leader, Friar Lawrence is expected to counsel in wisdom. Instead he counsels in folly. He marries Romeo and Juliet. He concocts a ridiculous plan that fakes Juliet’s death. He delegates the delivery of a critically important letter to an underling (V, iii, 5-16). And he abandons Juliet immediately after she finds a dead Romeo (V, iii, 150-9). The Chorus, in the Prologue, summarizes the entire plot in a 14-line sonnet. Escalus is the prince of Verona, who in his wisdom, declares an automatic death penalty to anyone who fights in public. Paris wishes to marry Juliet. Other than the fact Juliet is not quite 14 and is already married to the Capulet’s mortal enemy, he makes a really good choice. Montague and Lady Montague are Romeo’s parents. They set a fine example by carrying forth a blood feud with the town’s other prominent family. Lord Capulet seems like a fine fellow at the party as he calms Tybalt’s ire towards Romeo. He then forces his not quite 13-year old daughter to marry Paris and beats her because she doesn’t want to. Benvolio is Romeo’s cousin who comes up with the brilliant idea of going to a Capulet party so Romeo can meet a new girl. I’m still trying to figure out why he hangs out with Mercutio all the time. Tybalt‘s hot headed nature causes doom to many, including himself. Other than getting beat down by perhaps the wimpiest male in all of Verona, he was a good fighter. Friar John failed to deliver the aforementioned important letter to Romeo. Next time–try e-mail. What did you think of these descriptions? If you disagree, feel free to let me know in the comments.